A potential contributing factor to basement or crawl space flooding might actually be faulty gutters. Gutter and downspouts are crucial for ensuring the integrity of your home by properly redirecting roof runoff. A functional gutter and downspout system keeps water from invading foundation walls, preserves your topsoil, and protects your siding from backsplash and eventual paint damage and wood rot. If you've noticed any of these problems already occurring on your property, don't stress! The experts at Stan's Roofing & Siding can install quality gutters that will provide effective roof drainage year round! We serve Plainfield, Orland Park, Homer Glen, New Lenox, Tinley Park, Frankfort, Mokena and areas nearby. Are your gutters up to scratch? Even though most homeowners do have gutters and downspouts, without proper installation and consistent maintenance these products may be letting your home down. Letting debris like leaves and twigs build up in your gutters will lead to water overflow. Gutters can also be pitched improperly or be undersized for the roof areas they drain. Finally, understanding what products your property needs is important - ask whether your home requires a downspout extension to direct water further away from your house. On top of poor functionality, sub-par gutters can affect your home in other negative ways. Old gutters and downspouts that are dented or damaged detract from a home’s appearance, adversely affecting its value and appeal. An advantage of aluminum gutters is that they can be custom-made to fit your house. The gutter-making machine is right on the truck, ready to transform aluminum sheet material into a finished gutter profile. Materials: Gutters have been made from a variety of different materials, including wood, steel, copper and seamless aluminum gutters. Aluminum gutters are most popular today because of their affordability, durability and color variety. However, some historic homes may wish to preserve their authenticity by installing steel, copper, or even wood gutters. Color: Aluminum gutters are most easily altered to match your home's appearance. Most gutter specialists have access to aluminum gutter stock that can be ordered with factory-applied finishes of different hues. 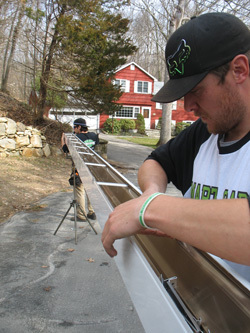 Size: K-style gutters come in 5-in. and 6-in. sizes. An experienced gutter installer will be able to determine which size is best for your house depending on your roof drainage area size and slope. Additional drainage options: Downspout extensions are sometimes necessary to carry roof runoff farther away from the house. Many of these simply extend out over the yard or garden, while others consist of buried pipe that drains to a dry well or daylight outlet. If you're looking for efficient, effective gutter installation, trust our gutter specialists to get the job done! Because we work with roofing and gutters every day, we can pinpoint problems and quickly decide upon a solution. We can spot related problems such as damaged flashing or rotted fascia boards that require replacement. All of our gutter solutions also work with our roofing products, so it's a good idea to think about your gutters if you're in need of roof repair or replacement, too. Contact the roofing and gutter experts at Stan's Roofing & Siding by calling 1-855-247-9153 or filling out the online form for a free inspection and estimate! 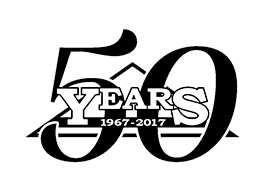 We serve homeowners in Naperville, Oak Lawn, Bolingbrook, New Lenox, Plainfield, Orland Park, Mokena, Tinley Park, Frankfort, Homer Glen, and surrounding areas.